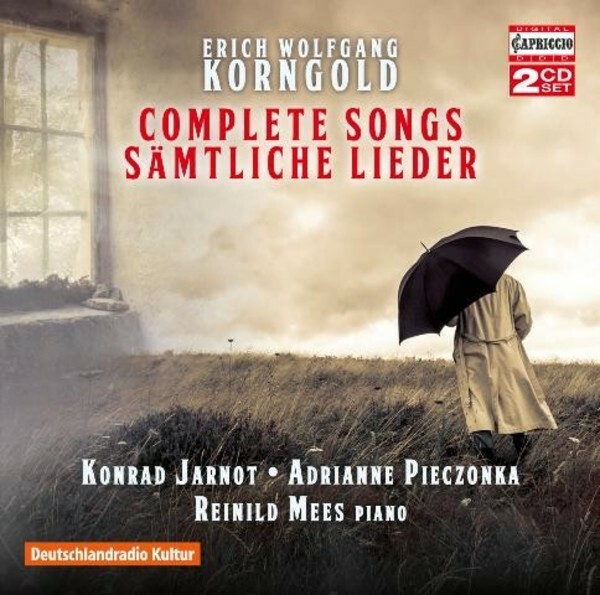 Here are little songs for family birthdays, the Shakespeare lieder written for various theatre productions by Max Reinhardt, the Kaiserin Zita-Hymne, up to Korngold’s final song Sonett für Wien Op.41, composed in 1950, as a tribute to Vienna, the city of Korngold's youth, then in ruins after the war. As one of the last exponents of the Austro-Germanic lied, which lasted almost two centuries, Korngold occupies a special place in that tradition, and his exceptional contributions are finally being rediscovered, after decades of neglect. This comprehensive recording is a further welcome step in the process.